If people in my old hometown have domestic problems, family issues or simply having a hard time and need good advice, they might ask my mother (who apparently is that bespoken woman with the name Marianne Hartung). To make sure people recognize her as this helpful angel she is, I mapped out a little corporate design and drafted some basic stationery items. Since my mothers clients are people carrying heavy weight on their shoulders, the look was intended to be positive and easy. Joe Walsh (the famous Rock’n’Roller) once stated: »It feels like the phone weighs 80 pounds when you pick it up, but you gotta pick it up and ask for help.« (when he decided that he needed help on his drug addiction). To make the phones of people in need a little bit less heavy, the whole design was meant to be feather-light. The »M« in »M | Hartung« shows the first (and probably most important) step in the process of consultation: making good contact (figuratively shaking hands). That’s what is visible if you imagine the two pictograph-people standing face to face. People with troubled relationships might also see two different people (one red and the other truely blue) standing side by side, holding hands. 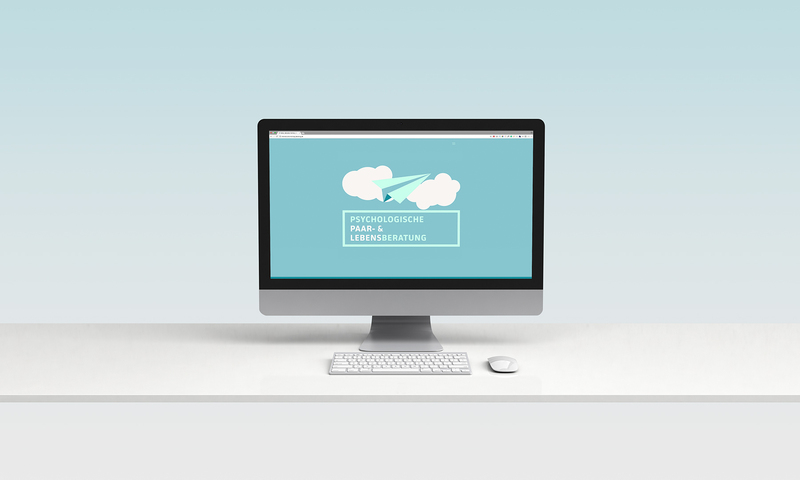 Pastel colors and lots of liberating whitespace make the layout look soft, light and easy. The light blue and soft red tones are opting for a comfortable contrast though. The font (JAF Facit) gives that look an uncomplicated sense of sincerity with solid, big headlines and an open feel in continuos texts. 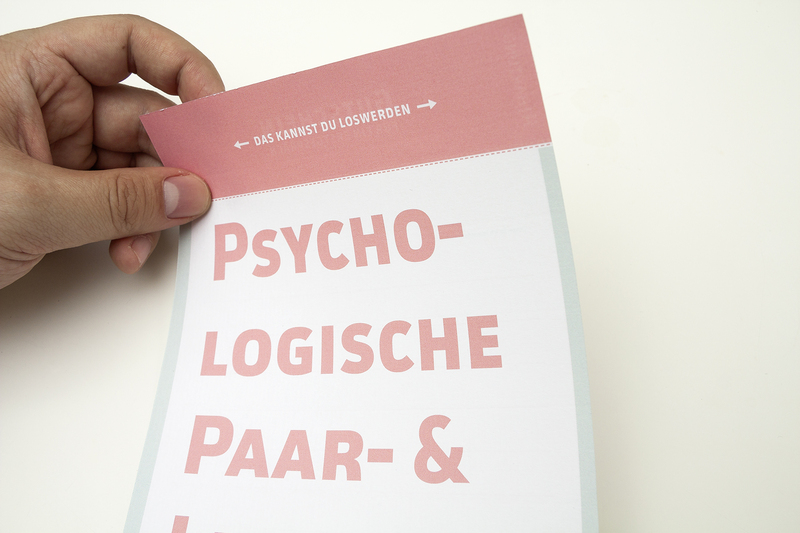 The flyer was not meant to scream »contact me« intrusively, but rather act as a special kind of wildcard. That’s why the backside offers space for notes (leaving the recipient the option to write down what troubles her/him before taking the big step of making contact). 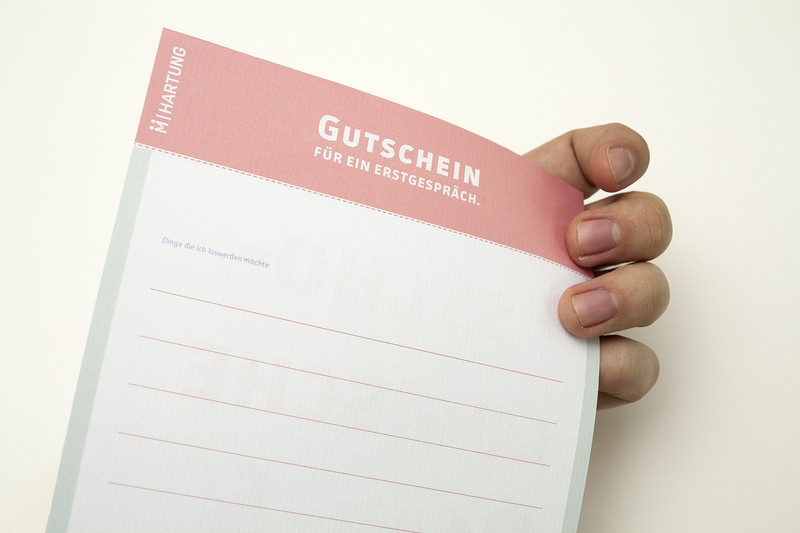 On top there is a detachable, red strip saying »Das kannst Du loswerden« (»You can get rid of this«), which turns out to be a coupon (when flipped around) for the first, informational interview. The business card’s motif is a metaphor: take your troubles, put them on a (paper) plane and send it out for help. The paper-plane-business card is embedded in a handy envelope, so it won’t unfold or crash when it hits the wallet. The wings are showing the logo and the claim (»Ballast abwerfen.« / translated: »Take a load off.«). In between the fold are the contact details. 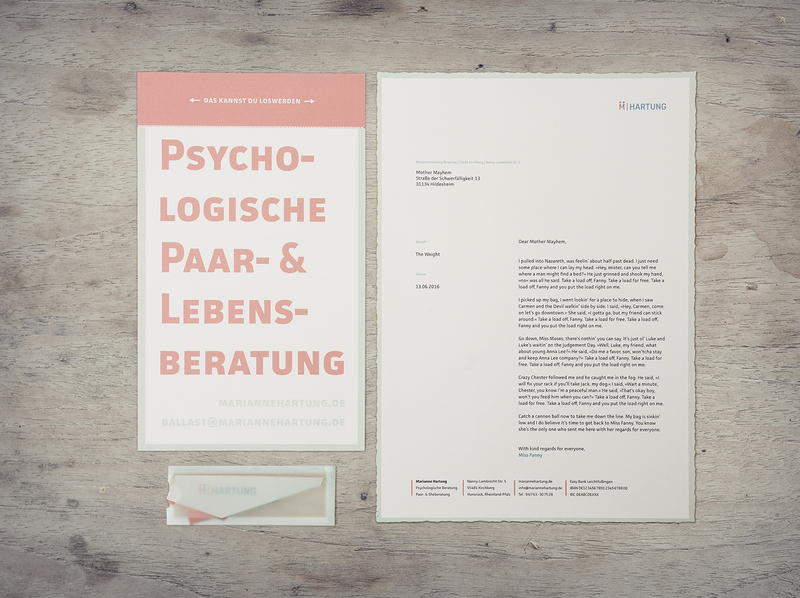 »M | Hartung« corporate stationery. »M | Hartung« flyer detail (front). »M | Hartung« flyer detail (back). 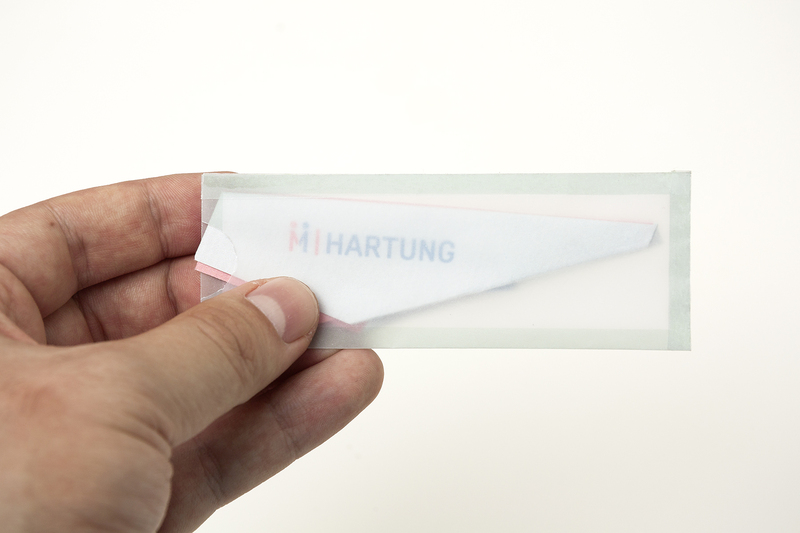 »M | Hartung« business card (packaged). 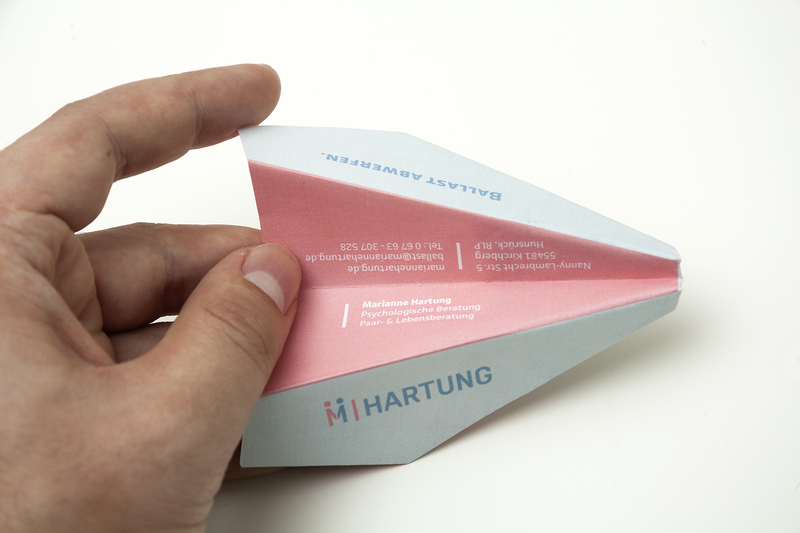 »M | Hartung« business card. 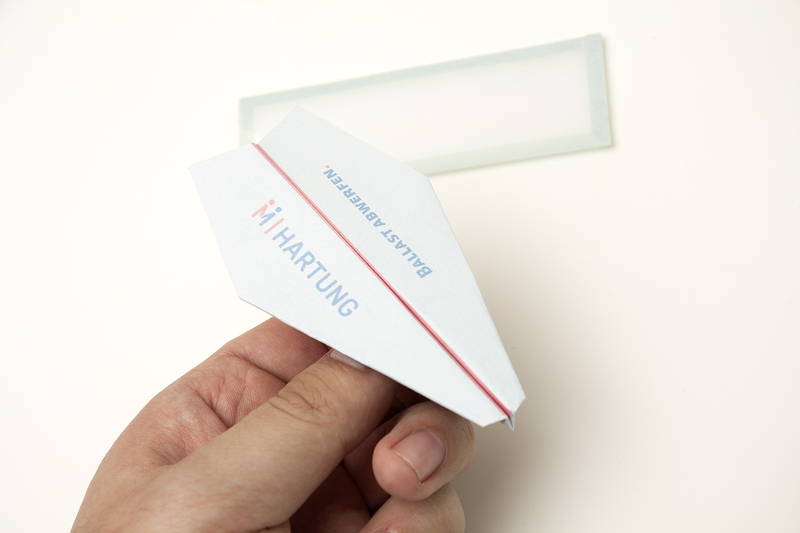 »M | Hartung« business card (open).